The breathable mesh material allow air to circulate to keep you cool while sitting. Finding a comfortable chair is essential when sitting for long period. The high back design relieves tension in the lower back, preventing long term strain. The included headrest will take the pressure off of your neck while leaning back. And the adustable armrest height could make your hands feel more comfortable at the desk. 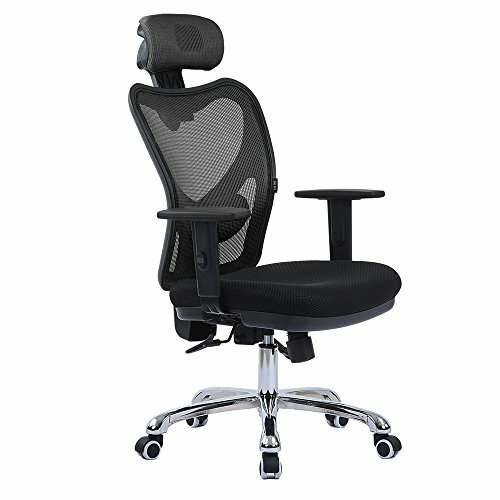 This comfortably designed computer chair will be a great option for your home or office space. Arm height from floor: 25"-32"
LSCING chair is committed to manufacture high quality chairs with best service.Our design and manufacture is cater to American market.